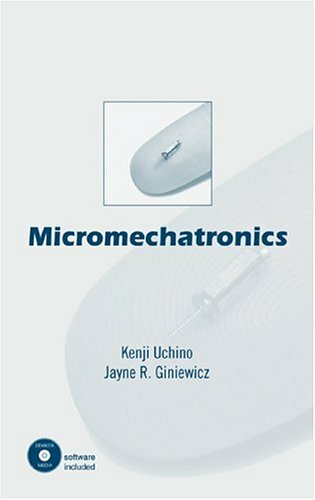 Micromechatronics Inc. offers three books to further educate the knowledge of micromechatronics applications, ferroelectric devices, and learn more about the Finite-Element software program. Below are the listings of the books that Mmech sells to help aid users in learning more about ATILA as well as related topics in the field. Please feel free to contact us if you are interested in purchasing any of the textbooks below. 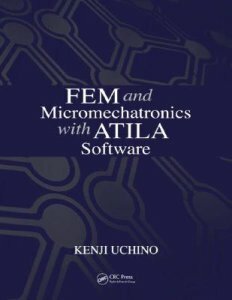 Outlining a complete treatment in 30 convenient 75 minute lessons, every aspect of FEM and Micromechatronics with ATILA Software reflects its focus on being easy to use, easy to teach from, and above all, easy to implement. The first half of the text outlines the theory needed to develop and design smart actuators and transducers, while the second half walks readers step-by-step through the software implementation using seven extensive examples. Even the lay-flat binding makes it easy to follow the text while working simultaneously at a computer. The companion CD-ROM supplies a free educational version of ATILA-Light. Numerous problems and examples offer ample opportunity to put the concepts into practice. Offering an intensive overview of practical materials, device designs, and drive/control techniques, "Micromechatronics" reveals the most significant technologies, procedures, and trends in the design and application of actuator devices for micromechatronic systems--addressing critical design and manufacturing concepts, as well as challenges in the modeling and regulation of electromechanical losses and heat generation in actuator devices.Also included with the book, is a CD-ROM with examples of finite-element modeling and previously developed and commercially available actuators. Updating its bestselling predecessor, Ferroelectric Devices, Second Edition assesses the last decade of developments—and setbacks—in the commercialization of ferroelectricity. Field pioneer and esteemed author Uchino provides insight into why this relatively nascent and interdisciplinary process has failed so far without a systematic accumulation of fundamental knowledge regarding materials and device development. Filling the informational void, this collection of information reviews state-of-the-art research and development trends reflecting nano and optical technologies, environmental regulation, and alternative energy sources. Like the first edition, which became a standard in the field, this volume provides a general introduction to ferroelectrics with theoretical background. 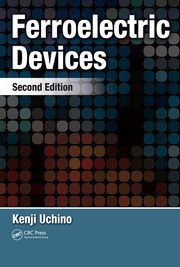 It then addresses practical design and device manufacturing, including recently developed processes and applications. Updating old data with a forecast of future developments, the text analyzes improvements to original ferroelectric devices to aid the design process of new ones. *Domestic Orders will be charged a $15.00 USD handling fee. *International Orders To Be Determined.